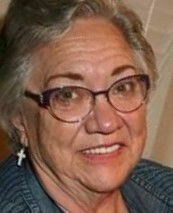 Tiffany A. Micolichek passed away in Twin Fall, ID on March 30, 2019. Tiffany met Donald J. Micholichek, Jr., in 1988 in Layton, Utah. They were soulmates from the very beginning and were married on June 24, 1989 in Utah. Right after getting married the couple moved to Elko and eventually settled down in Spring Creek, Nevada where they started their family. Tiffany touched many lives in Spring Creek and Elko alike as a preschool owner and a teacher for many years. She loved the families and most of all the “littles” entrusted to her care to teach. Tiffany was preceded in death by her mother, Pamala J. Manning. She is survived by her loving husband, Donald J. Micolichek; sons, Nathan (Rachel) Micolichek; Taylor (Ryann) Micolichek; Brandon (Camille) Clifford; Austin (Kassy) Clifford and Derek Clifford; daughters, Mellissa (Trent Hustead) Micolichek; and Madison (Ryan Bradshaw) Clifford; father, Gary Manning; sisters, Becky (Mike) Nahnacassic and Heather (Jeff) Black; nieces and nephews, Sarah (Nate) Daniel; Hanah Nahnacassic, Logan, Kylee, Cael and Grey Black, as well as grandchildren, Caiden and Kamea Micholichek; Astoria Coles, Zoey, Averi and Beckham Clifford and new baby Camryn Micolichhek on the way. A Celebration of Tiffany’s life will be held on Tuesday, April 16th at 10:00 a.m., at the First Presbyterian Church located at 1559 Sewell Dr., Elko, NV. Rest in Peace our sweet pink flamingo, until we meet again.